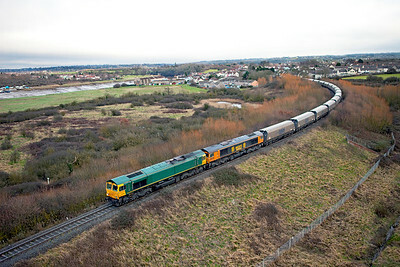 Ex Freightliner 66578 now with GBRF as 66738 & 66709 approach the Portbury Dock Stopboard with 4V94 09.52 Doncaster Decoy Yard to Portbury Docks empty Biomass Hoppers. Thursday 23rd February 2012. 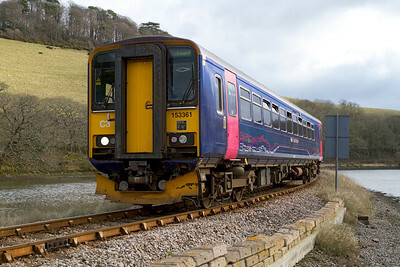 With no passengers waiting, 153361 runs straight through Sandplace forming the 14.47 Looe to Liskeard. Wednesday 16th February 2012. 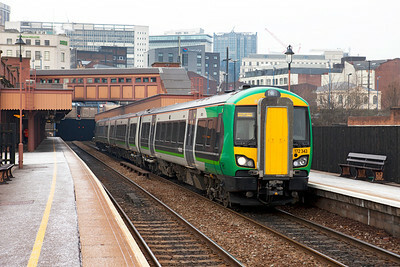 172343 departs from Birmingham Moor Street mainline platforms on a service to Dorridge. Thursday 9th February 2012. 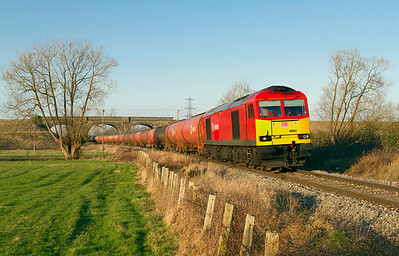 37606 & 37038 pass Gossington with 6M56 to Crewe with one FNA. The black spots in the sky are not dust spots on the sensor but a large flock of birds that had been disturbed by the passing of the 37's. Wednesday 1st February 2012. 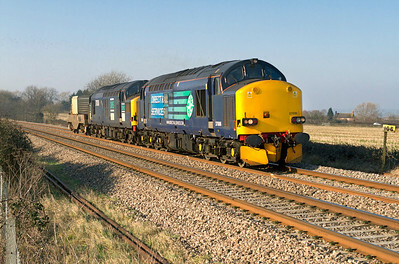 43125 & 43142 have charge of the 11.45 Paddington to Swansea passing Acton Turville. Wednesday 1st February 2012. 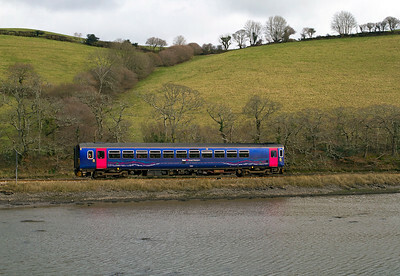 153361 forming the 11.18 Liskeard to Looe runs alongside the estuary at Terras Bridge, Wednesday 15th February 2012. 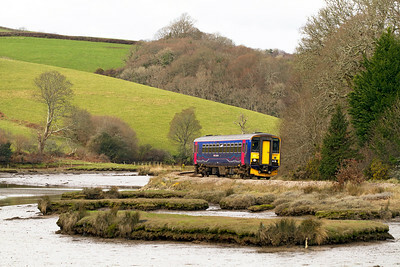 43069 leads the 14.00 Penzance to Paddington past the Liskeard advanced starter, Wednesday 15th February 2012. 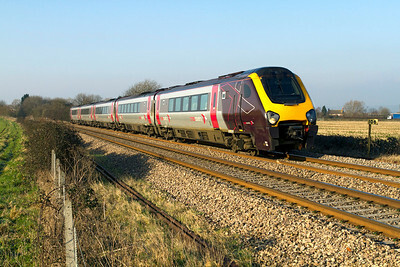 43133 is the rear power car. GWR 2-8-0 2885 at Birmingham Moor Street. Thursday 9th February 2012. 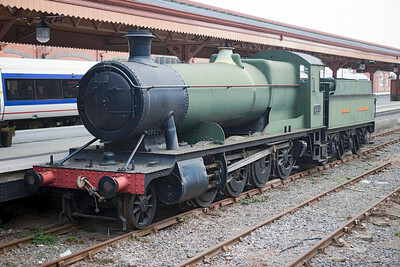 July 2013 the locomotive has been removed to Tyseley for eventual restoration. 150121 passes Gossington forming the 10.08 Bath Spa to Great Malvern. Wednesday 1st February 2012. 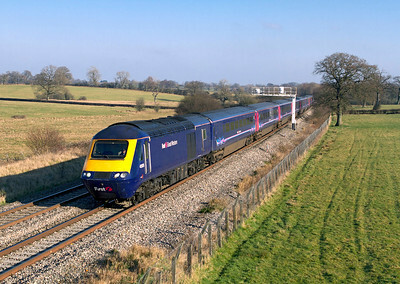 43016 & 43031 pass Acton Turville powering the 12.15 Paddington to Cardiff. Wednesday 1st February 2012. 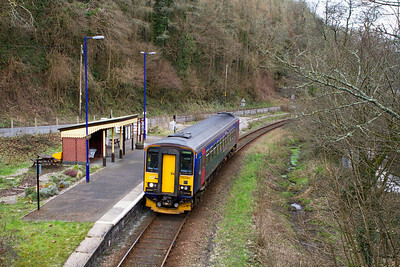 153361 forming the 14.28 Liskeard to Looe branch service passes Terras Bridge, Thursday 16th February 2011. 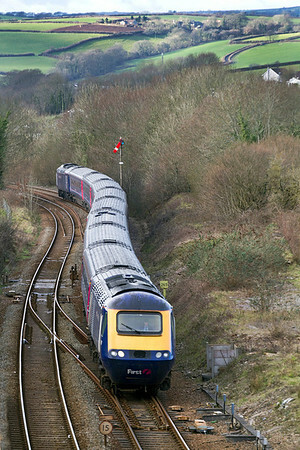 With the advanced starter already off for the 12.06 Paddington to Penzance 43069 leads the 14.00 Penzance to Paddington into Liskeard, Wednesday 15th February 2012. 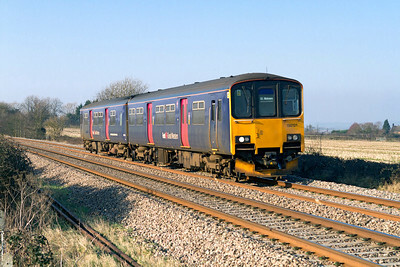 43133 is the rear power car. 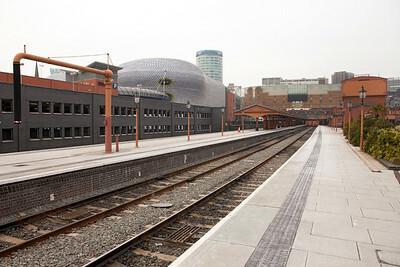 The restored bay platforms at Birmingham New Street. Thursday 9th February 2012. 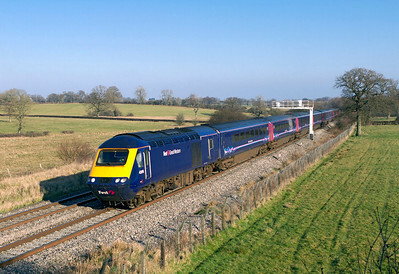 221138 forming the 06.28 Penzance to Glasgow via Edinburgh passes Gossington, Gloucestershire. Wednesday 1st February 2012. 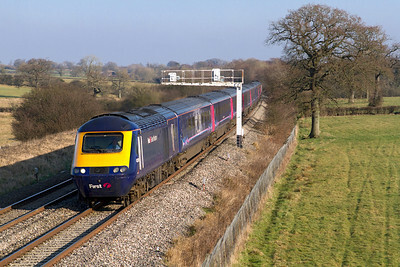 The 12.45 Paddington to Swansea with power cars 43176 & 43053 passes Acton Turville. Wednesday 1st February 2012. 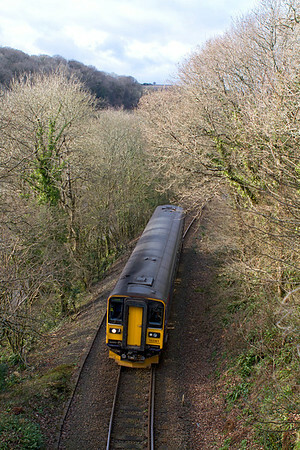 153361 forming the 11.47 Looe to Liskeard branch service creeps over the Terras Bridge level crossing, Wenesday 15th February 2011. 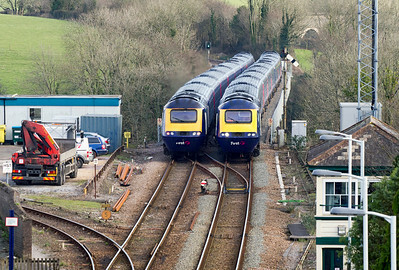 43028 & 033 forming the 12.06 Paddington to Penzance pass 43069 & 43133 forming the 14.00 Penzance to Paddington cross on Liskeard Viaduct, Wednesday 15th February 2012. 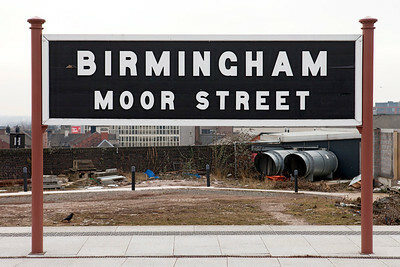 GWR style station nameboard at Birmingham Moor Street. Thursday 9th February 2012. 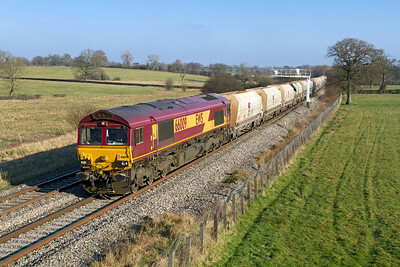 66009 passes Acton Turville with 6B35 10.47 Hayes to Morton-on-Lugg empty hoppers. Wednesday 1st February 2012. 60091 passes Westerleigh foot crossing running some 210 minutes late with 6B13 05.05 Robeston to Westerleigh loaded Murco tanks. Wednesday 1st February 2012. 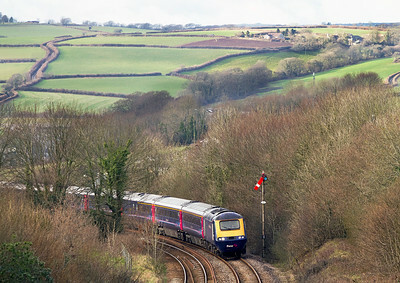 The 14.57 Looe to Liskeard climbs away from Coombe Junction past Lodge Hill on the approach to Liskeard formed of 153361. Wednesday 15th February 2012. 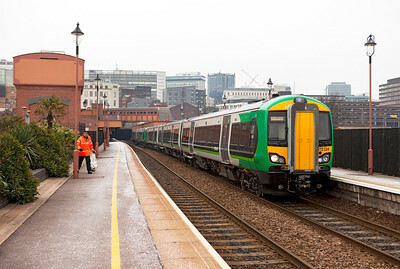 3 car 172334 & 2 car 172222 depart from Birmingham Moor Street on a Worcester Shrub Hill to Whitlocks End service. Thursday 9th February 2012. 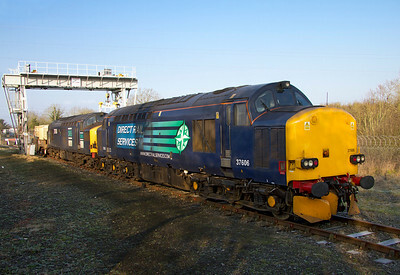 37606 & 37038 sit under the loading gantry at Berkeley with 6M56 to Crewe with one FNA. Wednesday 1st February 2012. 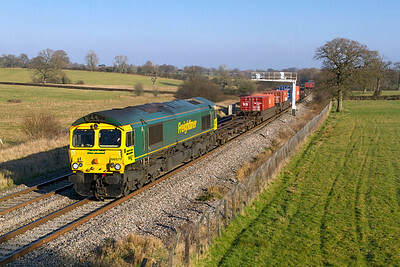 66571 passes Acton Turville with 4V50 10.57 Millbrook to Wentloog Freightliner. 1st February 2012.